Farm Away! 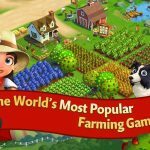 is a recently released game for iOS devices (no Android version yet), and it’s an immersive farming game that allows you to grow the most awesome farm of all time and break records for raising livestock and farming crops on your iPhone or iPad. 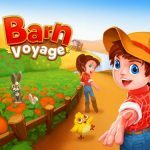 You can invite your friends to play and have them work as farm hands, and get ready for a future with different kinds of farm animals and crops. 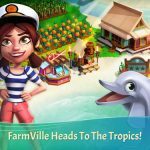 The game involves basic tap-and-swipe mechanics, the option to automate your farm and let it earn while you’re away from the game, weather control options, and other features that are hard to find when comparing Farm Away! to other similar titles in the genre. Some have compared the game to a cross between traditional casual farming sims like Farmville and tapping games like AdVenture Capitalist. 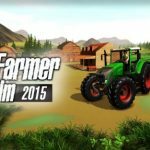 Since this isn’t your traditional Farmville or Hay Day title, we thought it would be a good idea to orient you to the game with a couple of Farm Away! tips, tricks and cheats. This isn’t a call to support indie game developers and help them monetize their business. That’s because watching ads is a must in the game. Ads aren’t random pop-ups that throw you off your gameplay or optional ways for you to earn free coins. Ads are arguably the engine of Farm Away’s gameplay, as they bring buffs that could improve your profits twofold, or even much more than that, while they’re active. These buffs can be stacked on top of each other, which is something you should try if the opportunity arises. Swipe like nuts when the buffs are active so you can make more money at a rapid pace. Saving cash and stockpiling it could make you feel great about how your game is going, but as each upgrade has a huge effect on your ability to rack up the cash, you want to spend your money on boosting your current crops, instead of saving them up for a new patch of crops, or buying those uber-premium upgrades. And when you’ve got enough cash on you, it would be best to spend your money on the most expensive upgrades before the cheaper ones, such as new crop patches or production automation. There are lots of tempting ways for you to spend your gems and seeds, but you should be absolutely careful when doing so as they aren’t anywhere close to being as plentiful as the cash you can earn. Do not, and we repeat, do not spend gems on buffs, even if you can’t wait another minute before your crops fully grow. We suggest avoid using your seeds until you are absolutely sure you’ve got enough seeds arriving for an upcoming upgrade or if your overall farm upgrades have grinded to a halt. There’s a lot of strategy aside from the simple tapping and swiping, but thankfully, most of it is easy to pick up.